A recent project which involves having 110,000 butterflies on a wall. 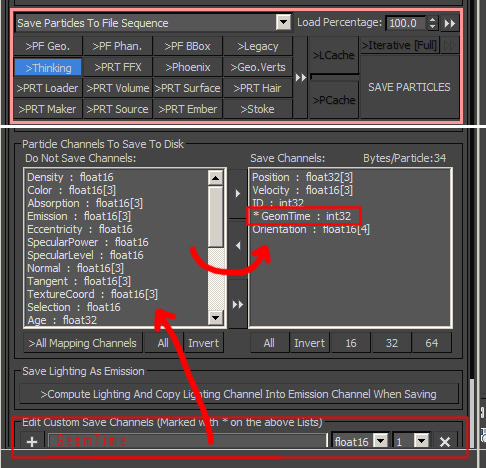 I needed to find a way to pass TP driven animation times to a PRT for rendering in Frost. Took awhile but here is how it worked for me. In TP I had a data channel named “GeomTime” which held every particles current animation frame. To pass this to a PRT I had to manually type in “GeomTime” in Krakatoa’s particle channels to save to disk as it did not show up in the included channels. Set it to integer 32bit (lower bit rates didn’t seem to work).